An electric arc occurs as pure electrical discharge with high current density. With the everyday use of power equipment such as circuit breakers or load-break switches, electric arcing is a result of electric faults or short circuits. Due to increased current density, there is a rise in temperature, resulting in additional heat generation. This heat causes the medium between the contacts to ionize (in the case of air medium) or vaporize and ionize (in the case of oil medium). This ionized air or vapor acts as a conductor and an arc is struck between the contacts. Arcing is inevitable when two conducting elements are brought together and sometimes leads to damage or failure of the components of the electric system and physical hazards. As a result, appropriate insulating or dielectric materials need to be incorporated into the insulation system, for control and handling of high voltage equipment. Arc resistance is defined as the ability of an insulating material to withstand a high voltage electric arc and resist the formation of a conducting path along its surface. This conducting path is the result of thermal and chemical decomposition and erosion of the material. Therefore plastic materials with superior arc resistance properties are selected to handle application susceptible to electric arcing. Tracking, which is commonly associated with arcing, happens when a high voltage source of current leads to a leakage or fault path across the surface of an insulating material, slowly forming a carbonized path, which appears as a thin line between two electrodes. Tracking is accelerated by the presence of surface contaminants such as dirt, oil, or moisture. Since arc resistance varies from material to material, material property comparisons quantify the property in units of time. It is expressed as the number of seconds a material resists the formation of an electrically conducting path along its surface when it is subjected to a high voltage, low current arc close to its surface. Thus it acts as a tangible source of differentiation between various plastic materials with respect to arc resistance. Many inorganic, dielectric materials become incandescent when subjected to high-voltage electric arcs. Subsequently, they become capable of conducting electric current. Upon cooling, they regain their insulating properties. Few organic compounds burst into flame without formation of a visible conducting path across the material. Other materials fail as a result of tracking. The last form of failure occurs through carbonization of the surface once there is enough carbon to conduct the electric current across the material. Degree of ionization: The arc resistance increases with the decrease in the number of ionized particles between the contacts. Length of the Arc: The arc resistance increases with the length of the arc. i.e. : the length of separation between the contacts. Cross-section of the Arc: The arc resistance increases with the decrease in area of cross-section of the arc. Electric insulating material are normally selected based on their resistance to Arcing or Tracking. Plastic material, such as phenolics, tend to carbonize easily and have relatively poor arc resistance. However, plastics such as alkyds, melamines, and fluorocarbons have excellent arc resistance properties. Failures due to arcing do not always occur due to carbonization or tracking. Many plastics, such as acrylics form ignitable gases that lead to product line failure instead of carbonization. Arc Resistance of Plastics can be improved by the addition of fillers such as glass, mineral, wood, flour, asbestos, and other inorganic fillers. The table below shows the arc resistance of some common plastic materials. In severe applications, where there is a significant risk of electrical damage due to arcing, ceramics may be used. Generally speaking, ceramics have better arc resistance compared to organic materials, such as plastics. * After correlation has been established with other types of simulated service arc tests and experience. The test is usually conducted under clean, dry, laboratory conditions, which are rarely encountered in service. Therefore, the prediction of the relative performance of a material in typical applications and in varying clean to dirty environments may be substantially altered. There are also standards available for testing arc resistance in wet and dry conditions if needed. 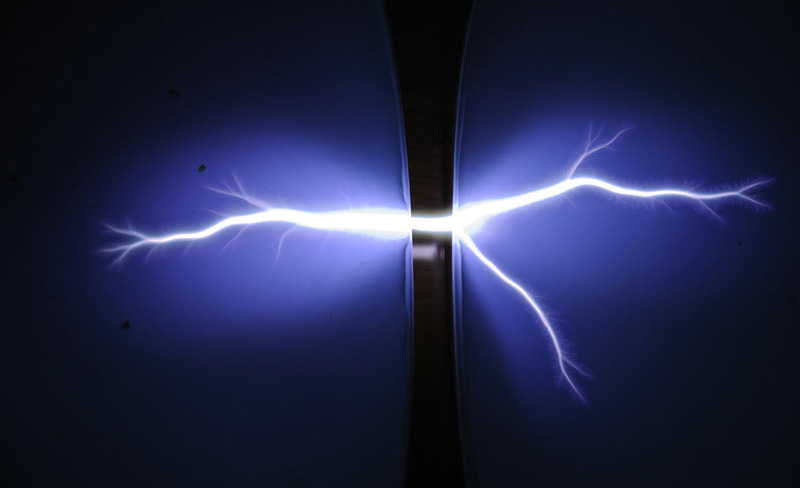 Electric arcing presents a difficult challenge and can have detrimental effects on electric power transmission, distribution systems, and various electronic equipment. Arc resistance of different materials is represented as the total time they can retain their insulating properties without breaking down and causing current flow across its surface. The arc resistance values may be used to evaluate the resistance properties of various plastics. Based on this, selection of the best material may be done, thereby reducing the risk of equipment damage, fire accidents, and human hazards.